You want to introduce your baby to the water but you are having second thoughts ? Toddler Inflatable Swimming Ring allows your baby to swim safely on their own at an early age. Larger leg holes allow for baby to get in and out more easily. · With your baby resting on its stomach, the inflatable chest will add maximum comfort. · Using the harness and belt, rest assure your little one will be tightly secured at all times. 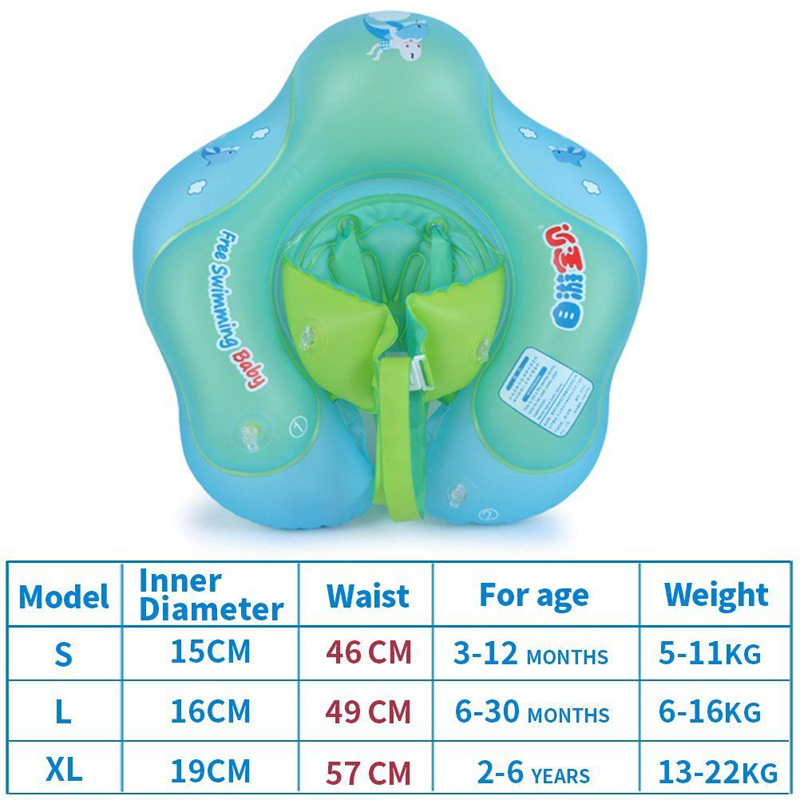 · Simply pump up the Baby Body float for water fun, and deflate for super compact storage. Perfect for camping, swimming pools, bath tubs, lakes and more. · Your little one will be accustomed to water in no time.